Yes you got that. I also promise to do a video prepping and doing this pizza meal but for now, here it is in pictures. This is where the fun begins! My kids love rolling and spinning the dough, kinda like those Italian pizza parlours you see on TV but sometimes it's disastrous and it falls on the floor. We love our crust thin and this mixture typically makes 3 medium size pizza's. It all depends on what you have in your pantry and fridge, so this is where you can be creative and add whatever toppings you have. 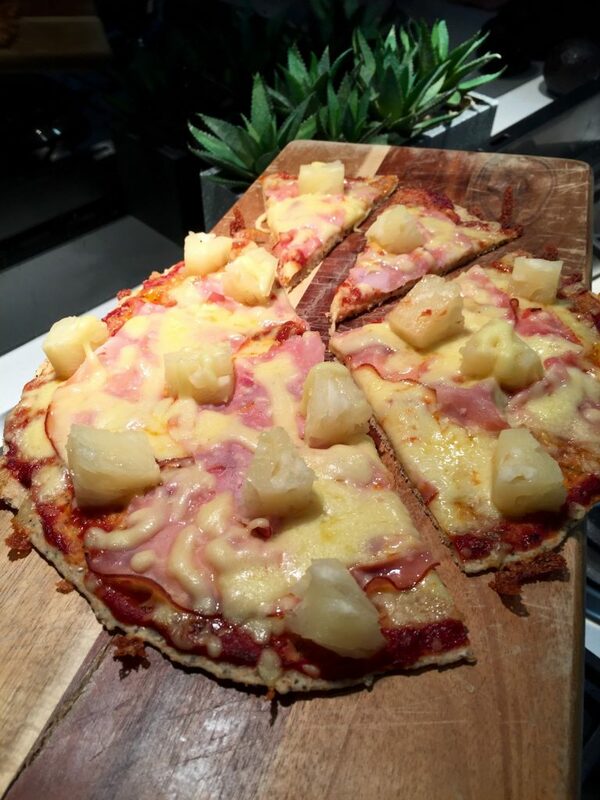 We opted for our classic pineapple and ham because that's all I had left! 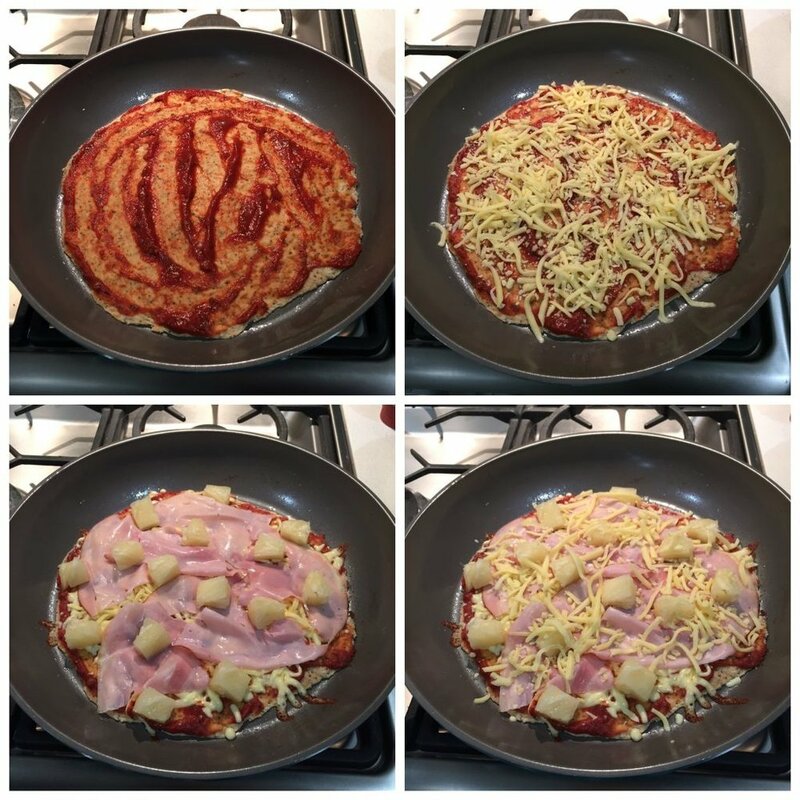 I always have a tomato pizza paste in the cupboard in case I don't get a chance to make a quick tomato base, sprinkle cheese, add ham and potato and of course layer again with more cheese. 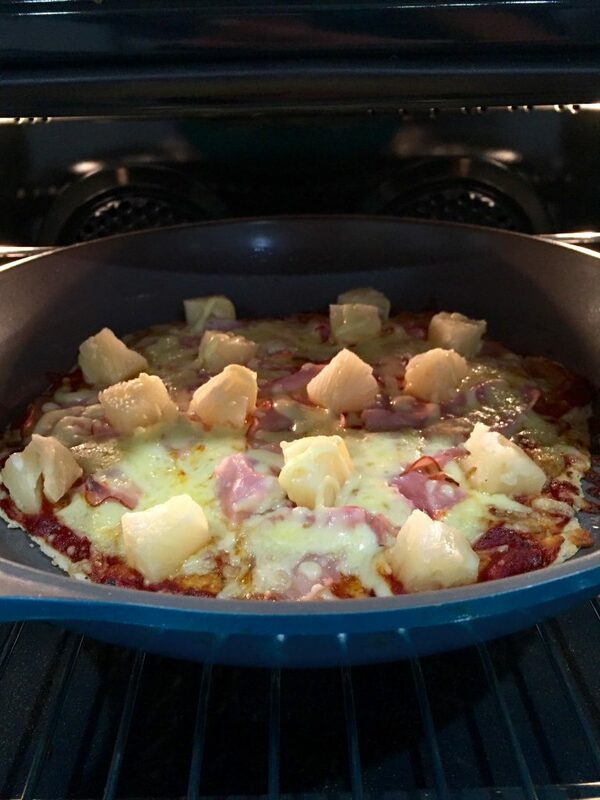 The key to this quick pizza recipe is that you just need a non stick fry pan and by the time you place the toppings, the base is already cooking above the stove and then all you have to do is have the griller on and then place the pan on the top shelf of the oven, until the toppings are cooked and melted. Max 5-8 minutes! I hope you end up putting this on your meal planner this week. You're going to love it! What’s your craziest dream, ever? With four kids, I know some of mine have the occasional nightmare (ha ha kidding) but what I didn't' know is - according to sleep experts, there may not be one single moment of our sleep when we are actually 100% dreamless. In the meantime, I’m experimenting with my August Sleep Challenge with a promise that I am cutting down on caffeinated drinks of any kind after 12pm. What about you? If you’re in an office job, it’s a tempting pick-me-up to duck out for that third latte of the day sometime in the middle of that afternoon lull but what I think you should do instead is to look at a healthier way you can restore your body’s flagging energy levels with some power-packed healthy snack, or by getting your body on the MOVE with some of my actions that are easy and do make a difference. With kids, moving is easy – between trips in the Volvo on school runs, we always love hitting the beach or the park for some impromptu family cricket or footy – it gets everyone running and laughing and that’s another way our bodies are gearing up for a good night sleep. So…what are you going to do in your own life for better sleep this week? I’d love to hear how your August Sleep Challenge is going. Register here for awesome slumber giveaways, it's never too late.